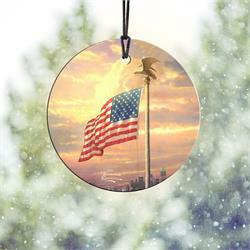 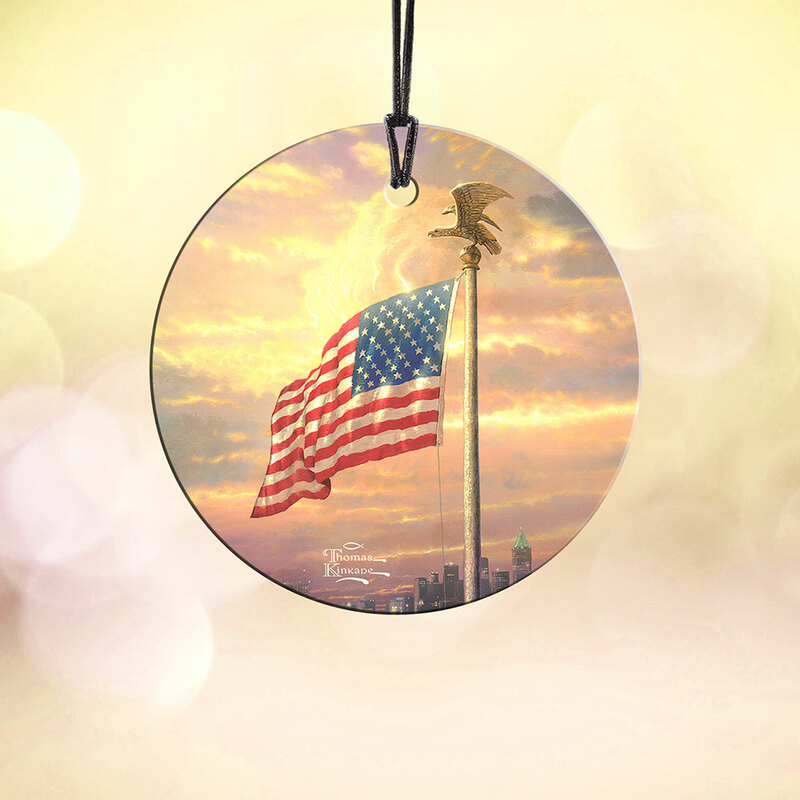 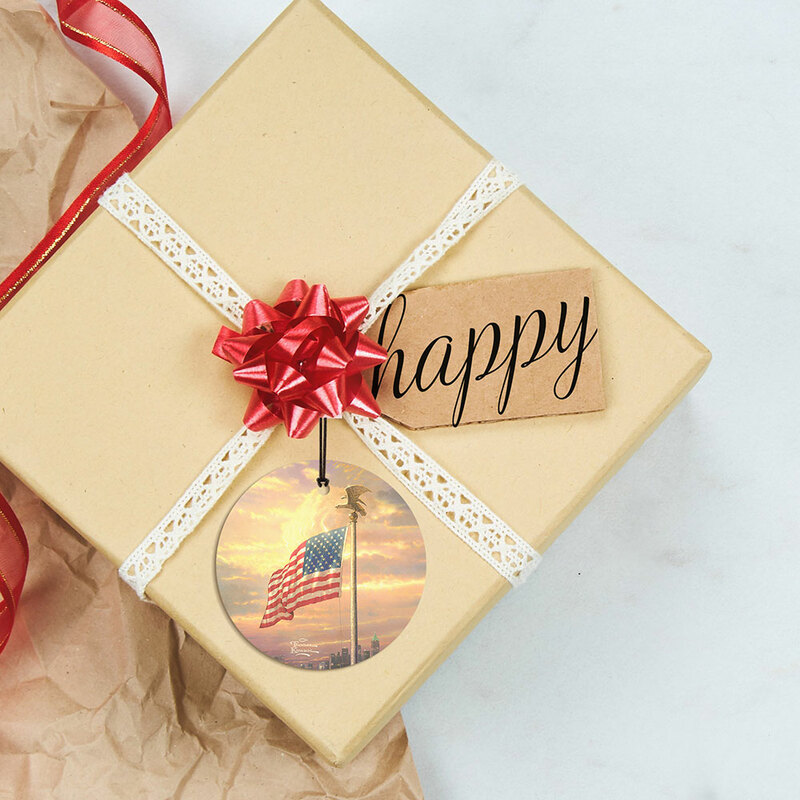 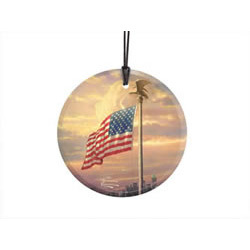 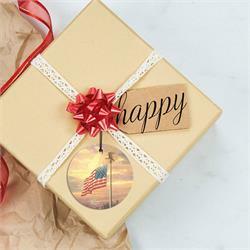 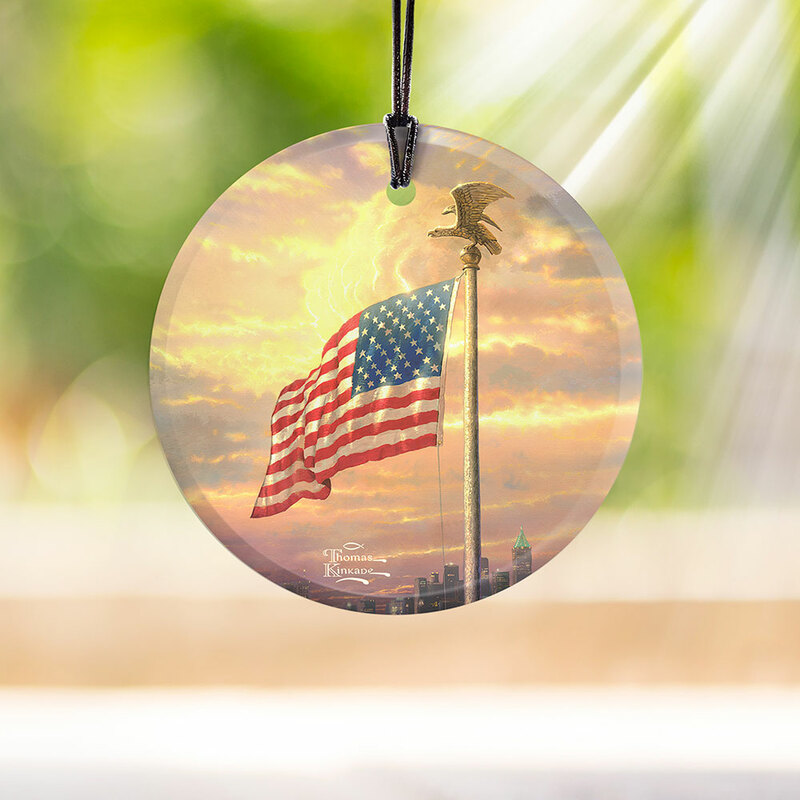 Put your patriotism on display in your window, or festive wall, with this StarFire Prints hanging glass featuring the American flag from Thomas Kinkade’s painting, The Light of Freedom, done in the artist’s instantly recognizable luminous style. 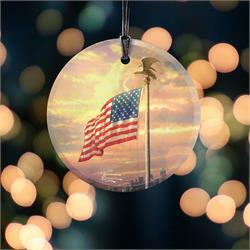 This piece also comes with a hanging string making for a hassle-free display. 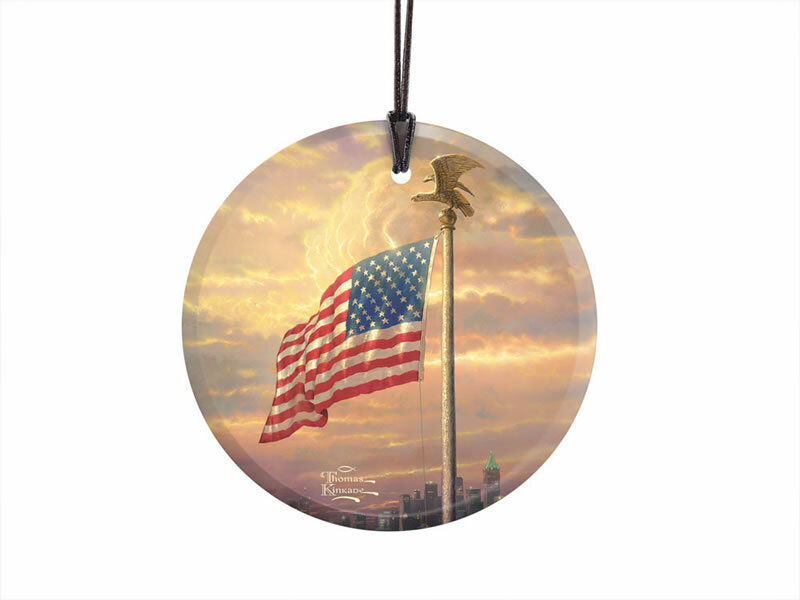 Made in the USA by Trend Setters Ltd.